The Cecchetti Classical Ballet Vocational Awards are a high profile public annual event that offers students in vocational training the opportunity to perform on a professional stage in an atmosphere of friendly competition. The Awards take place annually in the autumn term at the Lillian Baylis Theatre, Sadler’s Wells and are open to male and female vocational students in the UK and Europe. 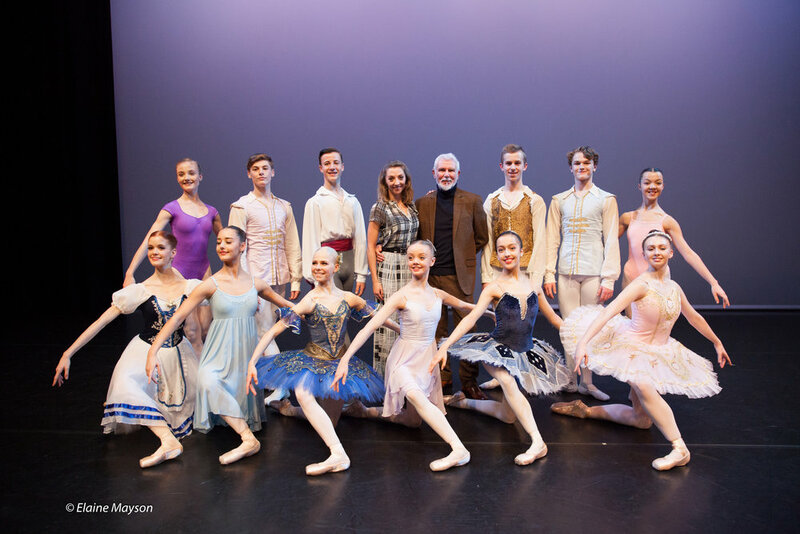 These Awards include the Fewster Cecchetti Scholarship and the Barbara Geoghegan Award and a number of additional awards to support vocational students training in the Cecchetti method. The Fewster Cecchetti Scholarship was founded by Barbara Fewster OBE, a former Principal of the Royal Ballet Lower School, White Lodge. Miss Fewster was a great proponent of the Cecchetti method. The winner is awarded £2000 and the runner-up is awarded £600. In addition special awards are made to a promising male and female student. Applicants are required to participate in a classical ballet class at the Cecchetti Classical Ballet Awards which is watched by two Adjudicators. The Barbara Geghegan Award was created in 1998 to honour Barbara Geoghegan in recognition of her devotion to the promotion of the Cecchetti Method over many years. The award is a bronze figure of a ballet dancer which is held by the winner for one year and prize money up to £2000. The runner-up is awarded £700. Applicants are required to participate in a classical ballet class at the Cecchetti Classical Ballet Awards and perform a classical solo which is watched by two Adjudicators. In addition to the prize money listed in the rules above, an Award of £600 each is presented for Musicality and a Promising Young Dancer and can be given to competitors participating in either the Fewster Cecchetti Scholarship or Barbara Geoghegan Award.